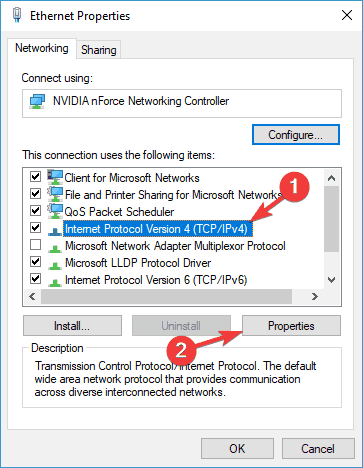 Network problems are common in Windows 10, and in this article, we’re going to show you how to solve one strange network problem, a problem with limited internet connection in Windows 10. So, if you’re facing this issue, I hope these solutions will help you. 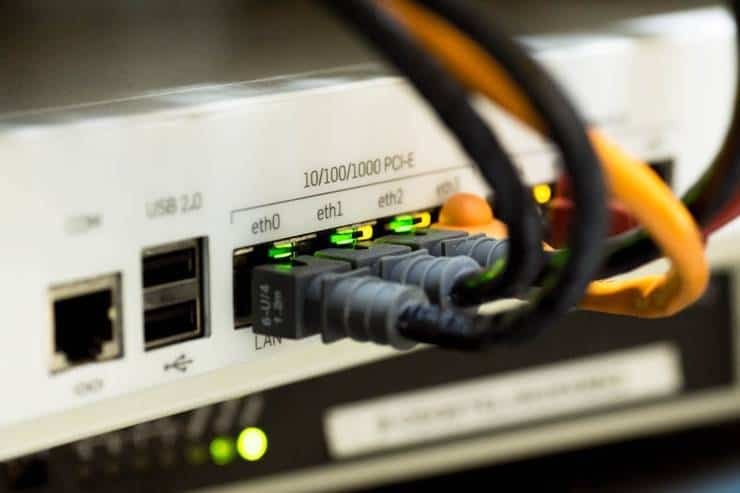 Limited internet connection on laptop, WiFi, unidentified network, getting disconnected frequently, keeps dropping – There are various problems that can occur due to this message, and if you’re having any of them, be sure to try some of our solutions. 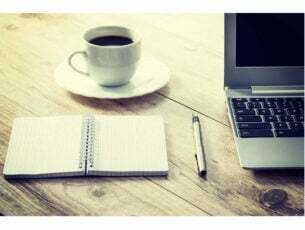 Limited internet access Ethernet, VPN – Sometimes this problem can occur while using an Ethernet connection or VPN. If this happens, be sure to check your network settings. Limited internet access yellow triangle, LAN – This is a relatively common problem on many PCs, but in order to fix it, you just need to run a network troubleshooter. Press Windows Key + X to open Win + X menu and select Device Manager from the list. Find your networking device, right click on it and click Disable. This will restart your networking device, and hopefully, your network connection will be back to normal. If this doesn’t solve the issue with limited network connection try the next solution. Many network issues are caused by malware, various scripts and bots. Enhance security by installing Cyberghost (77% flash sale), a leader in the VPN market. It protects your PC from attacks while browsing, masks and manages your IP address and blocks all unwanted access. Having an antivirus is important, but sometimes certain issues can occur due to your antivirus. Many users reported that Limited Internet connection message can be caused by your antivirus, and in order to fix that you need to change your settings. Several users reported that their antivirus was the cause, and after adjusting a couple of settings the issue was resolved. If you can’t find the settings that are causing this issue, we advise you to temporarily disable your antivirus and check if that helps. If the issue still persists, you’ll need to uninstall your antivirus completely and check if that solves the issue. If removing the antivirus solves the problem, you should consider switching to a different antivirus solution. There are many great antivirus tools on the market, but the best are Bitdefender, BullGuard, and Panda Antivirus, so feel free to try any of these tools. 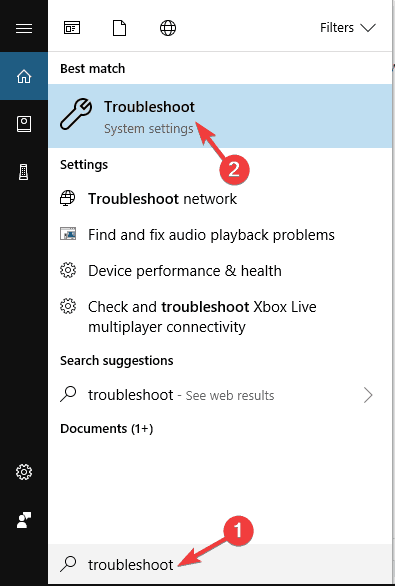 Go to Search and type troubleshoot. Choose Troubleshoot from the menu. 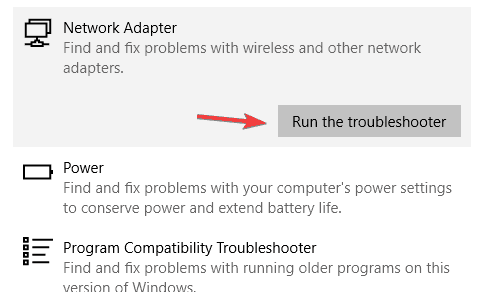 Select Network Adapter and click Run the troubleshooter. If you’re getting Limited Internet connection message on your PC, the problem might be your drivers. Outdated drivers can cause this problem to appear, and in order to fix it, it’s advised to update your drivers. There are several ways to do it, and you might be able to do that automatically right from Device Manager. 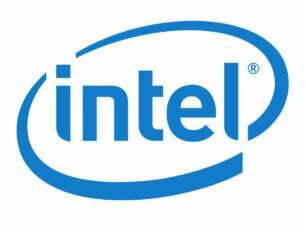 However, usually the better method is to download the driver directly from the manufacturer’s website. To do that, first you need to determine the model of your motherboard and visit your motherboard’s manufacturer’s website. Now locate your model on the list, and in the driver’s section locate the network adapter driver. After downloading the driver, install it and check if that solves the issue. If you’re using a dedicated network adapter, you’ll need to download the driver from your network adapter manufacturer’s website. Keep in mind that you need to download the driver by using any other device that has network access and then transfer the setup file to your PC in order to install it. 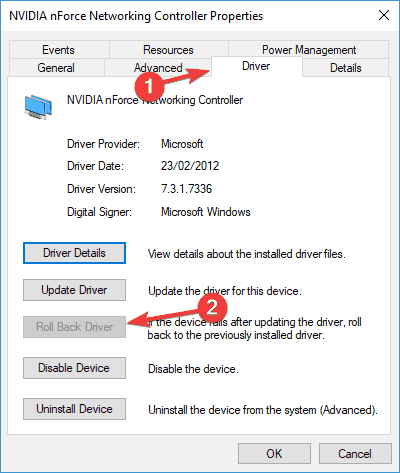 If the default drivers don’t work after manually downloading and installing it, you can also try updating your drivers automatically and check if that helps. 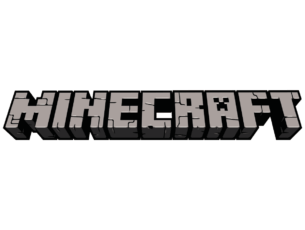 We wrote a guide on how to update your graphics card driver, so be sure to check it out. We recommend using Tweakbit’s Driver Updater (approved by Microsoft and Norton) to automatically update your drivers. 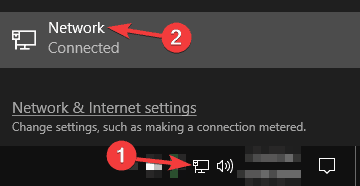 Click the network icon in your Taskbar and choose your network from the menu. Now click on Change adapter options. 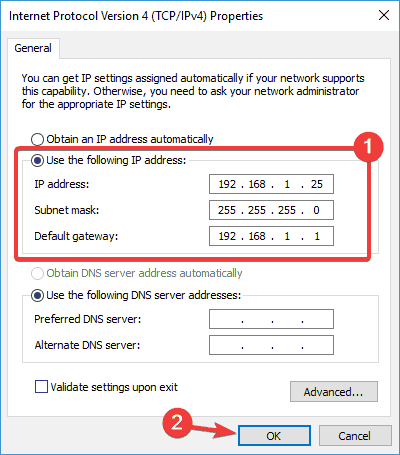 Keep in mind that these numbers might not work for you, so you’ll need to change your IP address according to the format of your Default gateway. To find out what is the Default gateway on your PC, just check network properties on your PC or on any other device that has Internet access. If your IP address is set manually, select Obtain IP address automatically option and check if that solves your problem. Follow steps 1-4 from the previous solution. If you prefer OpenDNS you can use it instead of Google DNS. After switching your DNS, check if the problem is resolved. Keep in mind that this solution might slow down your network connection a bit. 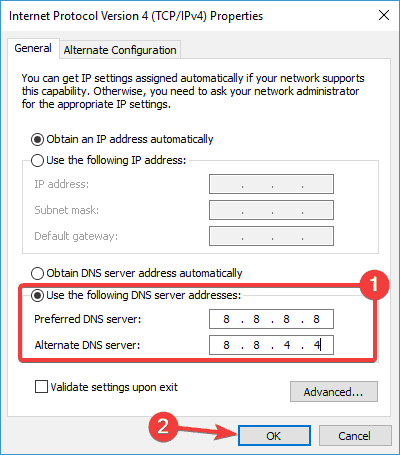 If you are already using a custom DNS, select Obtain DNS server automatically option and save changes. According to users, sometimes Limited Internet connection message can appear due to your router’s configuration. Several users reported that they fixed this problem simply by resetting their router to default, so you might want to try that. To reset your router, you need to access your router’s configuration page and choose the reset options from there. However, you can also reset your router by pressing the hidden reset button on your router. For detailed instructions on how to reset your router, we advise you to check your router’s instruction manual. Keep in mind that by resetting your router your Wi-Fi network will become disabled, so you’ll have to set it up again. Few users claim that they fixed this problem simply by resetting their BIOS to default. 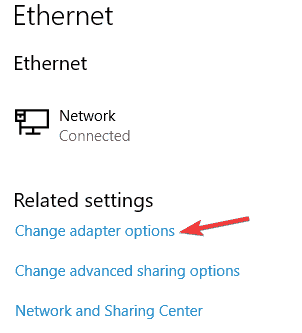 If you have a built-in network adapter, you might be able to configure it from BIOS. 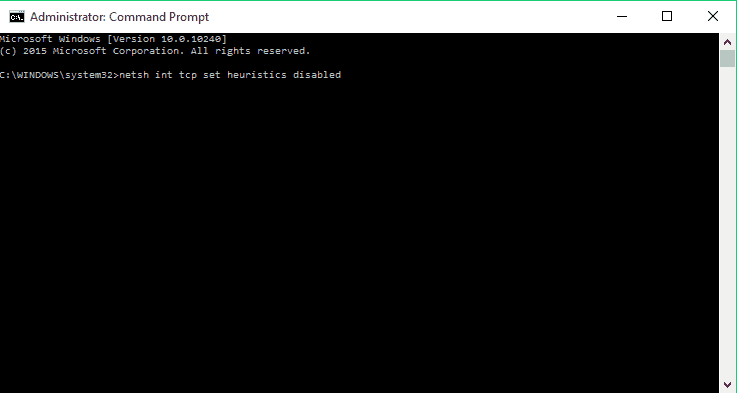 Sometimes your BIOS settings might interfere with your network configuration, and in order to fix the problem, you need to reset your BIOS to default. This is rather simple, and to see how to do it properly on your PC, we advise you to check your motherboard manual for detailed instructions. This is an unlikely solution, but few users claim that it works, so be sure to try it out. 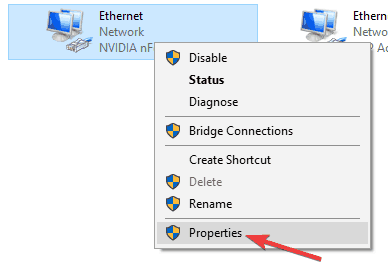 Open Device Manager, locate your network adapter and double click it to open its properties. Go to Driver tab and click the Roll Back Driver button. 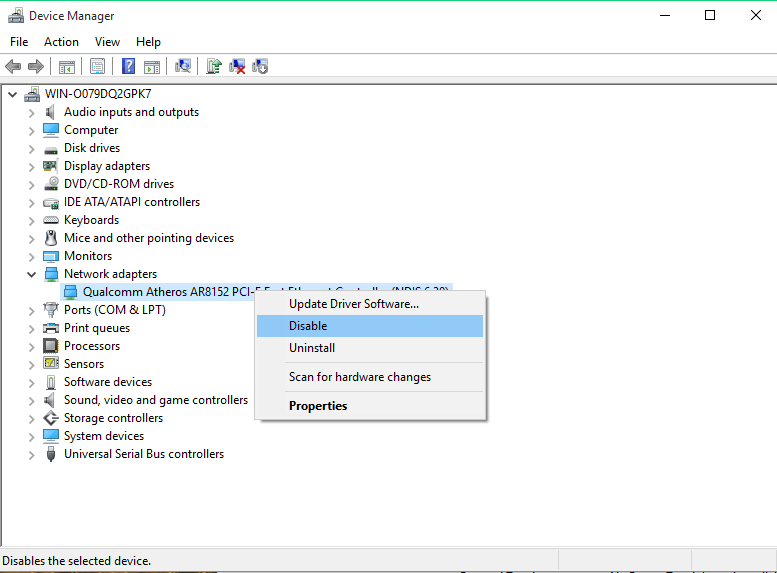 If this button isn’t available, click on Uninstall Device to remove the driver. Once you uninstall the network driver, restart your PC and the Windows will install the missing driver automatically. That would be all, I hope at least some of these solutions helped you with the limited internet connection problem. If you have any comments, suggestions, or maybe some other solutions for this problem, reach for the comment section below. Also, if you have any other Windows 10-related issues you can check for the solution in our Windows 10 Fix section.